I've now seen the movie Frozen about 1,243,438 times. Okay, maybe not that many. But it's close. Much too close. I've even seen it once in French, because my eldest daughter is facinated with the language and has vowed to learn how to sing ALL the songs in French. For some reason, this movie has taken hold of the hearts of children and adults alike. While there is such a thing as too much of a good thing, what is it about the movie that has made store shelves empty of the DVD? And what can we learn from that for our writing? Well, the first thing we can't replicate. 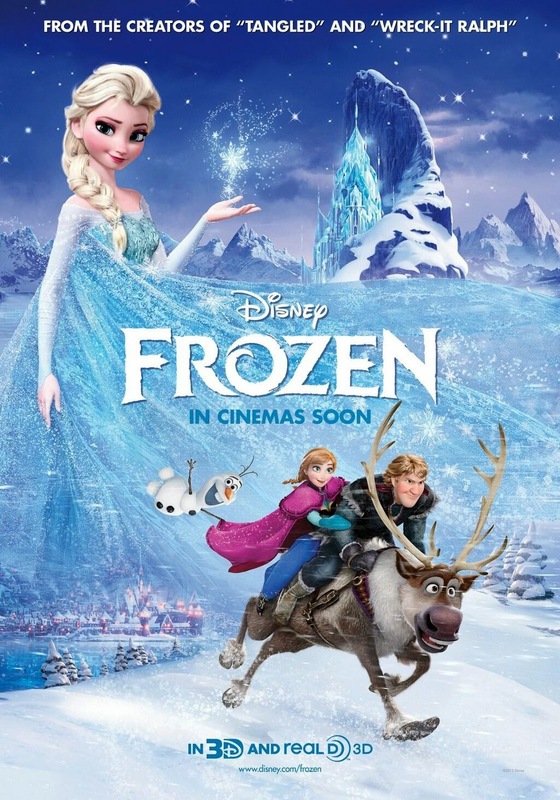 Frozen has some amazing songs that caused even some super fun weatherman to mimic. But catchy music aside.... there were several WINNERS about Frozen that helped make it the HIT that it was. Olaf. Need I say more? Ana walking like a penguin in her frozen dress. "What if you hate the way he picks his nose.... and eats it?" "EWwww" "All men do it." Regardless of your genre (except maybe thriller...), putting a couple natural giggle moments is a fantastic way to retain your readers attention. Giggle moments stay in our head almost as much if not more than deep emotional moments. And probably my favorite... "Some people are worth melting for." There were so many great lines in the movie, I couldn't possibly list them all. Great lines are memorable. And we want memorable lines of dialogue in our books too! 3.) Romance. I've said this for years and I still remain true to this point. Romance makes every story just a little bit better. Obviously I write romance, so my books are going to have this as a central theme, with other things such as suspense and drama playing an important secondary roll. But even if you aren't writing romance, adding a sprinkle of romance to your novel can serve to be a wee bit of zing that helps your book be memorable. 4.) A takeaway. Spiritual theme. Frozen's theme was that an act of true love is more than true loves kiss. It is sacrifice. Risking ones self for the sake of another. That true love can thaw even the most frozen of hearts. While romance is a lot about love... love isn't all about romance. It's one of the things I loved about the movie, the hero's love didn't save the day (although he absolutely helped) but Ana's love for her sister is what saved the day. 5.) 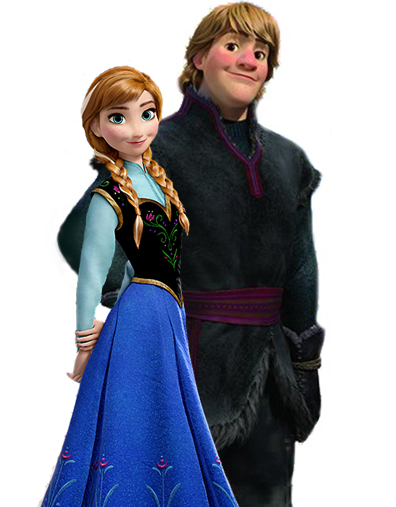 Speaking of heroes.... Kristoff was pretty cool. A GREAT example of an imperfect hero that you grow to love. He's an orphan and super rough around the edges. He begrudgingly helps Ana instead of being the over the top prince who dashes off to save her. (In fact, THAT guy ends up being a total dweeb.) He's real and has real issues... and loves his sled just a wee bit too much... but his redeeming qualities totally make up for it. 6.) A REAL heroine. She wasn't perfect. She's flightly and impatient and a bit cocky at times. But she's also fun and energetic and has charisma. And in the end, she lays down her life for her sister. 7.) A loveable villain. Elsa. A villain of sorts... but we love her. We don't want her to get hurt, but we want her to fix her mistake. She has a reason she is how she is, it's not really her fault, but then again, it is. If she'd just told Ana... then her sister would have understood and not provoked her, right? 8.) Suspense. Just like Romance, a little suspence, even if not the main thread, makes every story a little better. How were they going to stop winter? We thought we might know.. until we realized who the TRUE villain was. 9.) Body Movements. This is one of the things I noticed in Frozen that I don't remember in a lot of other animated movies. 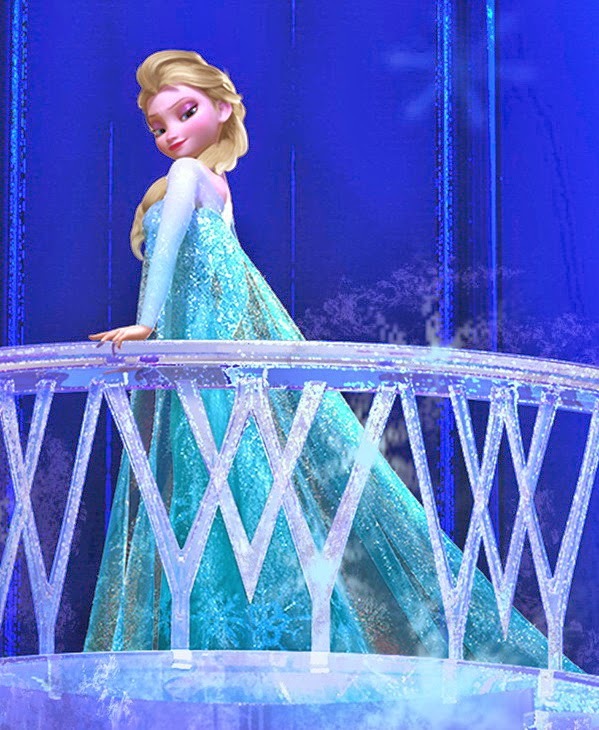 One moment in particular, when Elsa had just built her castle of ice, she was walking out to the balcony and her hips sashayed as she sang. That little movement told me more about what she was thinking than even the song itself. She was owning her power, her womanhood. It was her moment of throwing off everything she'd been taught and deciding she was her own woman. That is something we can definitely do in our writing, and I confess. I forget about it myself. The importance of a flick of a wrist, a hand on a hip, a chest puffed up, shoulders sagging, or even a simple clenched fist. These all can SHOW our characters feelings without having to tell them. 10.) And yeah. Great songs. I think maybe I need to make my song-writing hubby write me a song for a book trailer or something. It probably won't be Frozen quality... but hey, never hurts to try, eh? Discussion: Did you catch the Frozen craze? What are some of your favorite dialogue or comedy moments? Any story-writing lessens you learned? Are you sitting down? I haven't seen the movie FROZEN yet. Gasp! I know, I know. I'm probably one of the very few who haven't yet. But I will. So enjoyed all the wisdom in this post, woven in with your wonderful sense of humor as well. I even noticed Ana's little movement of pushing her hair over her ear. I LOVE the phrase 'some people are worth melting for' and one of my FAVORITE moments is when Christof takes his cap off and puts it on Anna's head. Sweet, endearing, MAKES YOU SURE that he's the hero. My pet peeve in the movie is that NO CLUES were given about Hans. I was totally floored. It made me sad. Mother Gothel gave off wonderful clues that she was not nice, but Hans? Did you see it coming?!? Sure, he was 'too perfect', but he also did valiant and 'kind' things before he turned all villain. It's interesting how Disney took a new turn in making the romance thread secondary to the sister-thread and I LOVED the spiritual theme of sacrificial love. And Humor? What's life without it?!? I loved your points, Krista. I don't feel like I write funny so I'll have to work to find some good giggle moments for my stories. Thanks for sharing this! I hope I didn't give too much of the movie away! Seriously, it's worth watching even just once for the "why does everyone like this" question. It's a great study! Pepper... ohh, I liked when he gave her his hat too!! I kinda figured they were, and I actually thought not giving too many clues on Hans was MASTERFUL. I was surprised too... but honestly, I also stopped and thought about him alot too. I'm not sure he set out at the beginning to be deceptive. I think he saw this PRINCESS, second in line to the throne, far closer than THIRTEENTH, and was like, dude, she's desprite to get married, OPPORTUNITY! And she's beautiful too, so best of both worlds. But I think the more he did, the more puffed up on his own pride he was. And think about it. He KNEW he didn't love her, love her. If he kissed her, the truth would have been out, she still would have died anyway. So I think he was desperate to cover his booty. Not excusing his actions, but I guess I just see small bad decisions spiraling to make him much much worse than his original intent. And OH MY GOODNESS< I am SO in for your Frozen party!!! Pepper I KNOW will come too!!! Yes, I thought that too. After looking back on it, I was pretty sure the major turning point (right before Anna comes in all chilled) is when one of the rulers says something like 'what would we do without you. You're all we have right now." Then the 'nonkiss' scene happens. LOL, I don't like it either... but I think it is a great lesson on villians though... they don't always start off super bad, but they have a journey to their evilness as well.